We STRONGLY encourage you to order your team swim suit ASAP so it will arrive in time for the first meet. Prices increase after October 2, 2016. If you order a team suit(s)/warm-up(s)/backpack(s) and you do not make the team, your order will be refunded. The booster club will notify us as to who will need a refund and it will be issued to you ASAP. Female suits have 3 different back styles (click on the suit to see the back). Male suits have 2 different styles. Athletes can choose either option. All suits are black and come with the team logo. Free shipping: Type “Walton” in the coupon box. This ensures your order ships directly to the Walton booster club. Shipping to Walton Boosters is free for orders placed by October 2, 2016. Team suit orders will ship to your team about 3-5 days after try-outs. Your team will send out an email on when and how the team suits will be distributed. There is a shipping charge for shipping to a home address. Sizing: To make sure you are getting the correct size, please visit our Mt View POP UP SWIMshop Mondays and Thursdays 4-7PM. Here's a link to our sizing chart. FM Sizing Chart (Please use your BACK button to return to this page.) Jammers are sized by measuring just above the hips and rounding up to the nearest even inch. You may also call customer care to place a phone order: 770-479-9655. 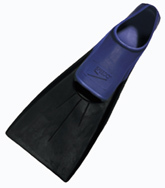 Walton's coaches STRONGLY encourage personal fins and hand paddles for practices. The team Warm-up is also encouraged.